Like a flower that has yet to come into bloom one wonders what is in store for our child. 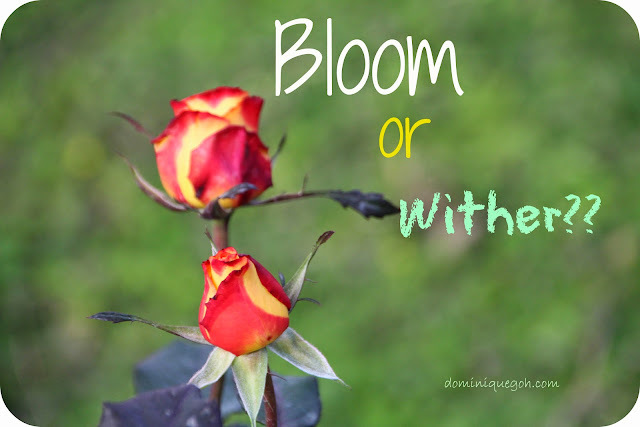 Would all the pruning and fertilizing that we are doing at the moment bear fruit? Is it worth out effort and investment? The answer to this question will not come immediately. Only in time would we know if our efforts have paid off. This is a gamble that I’m willing to take. If we as a parent do not put in the effort to teach our child the skills to cope with the changes, he would certainly be placed at a disadvantaged. I’m sure you would not want that for your child. I definitely wouldn’t not want my children to lose out in this harsh world of ours. As Monkey boy enters Primary 5, the challenges that he faces increases. The expectation of how he has to perform academically is also much greater as compared to when he was a Primary 4 student. Being a Primary 5 student he is facing a very challenging year as the teachers will be pumping into him all the information that is needed to prepare him for the PSLE come 2016. Technically most of the stuff that he has to know as a upper primary student will be taught from now till March 2016. From April 2016 it is solely revision all the way till the PSLE in August . This is certainly a crucial year for him in his journey as a student and he has to be able to get a firm foothold of everything that has been taught to him so far. In this segment where I’m focusing on Monkey boy, I will be going through the gaps in each subjects highlighting what the differences are in the subject at Primary 4 as compared to Primary 5. 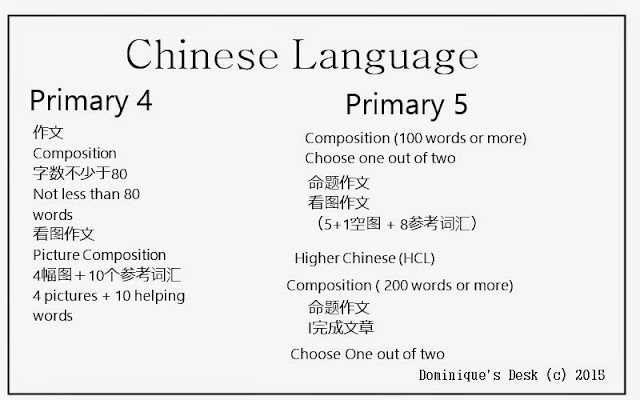 I am starting with one of the most challenging subject for him- Chinese Language. 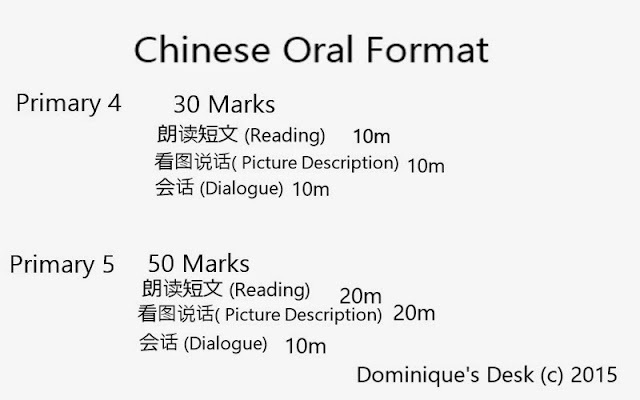 As you can see from the above diagram even there is quite a lot of difference in the length of the Chinese composition that needs to be written. Monkey boy is doing Higher Chinese so he will have to write 200 words or more as compared to the length of 80 words which he used write when he was in Primary 4. There isn’t the option of choosing Picture Composition as what is available is selection of given topic or to complete a given scenario with your own ending. It is certainly more challenging as he has to come up with more appropriate vocabulary on his own and to be able to describe the situation aptly. Everything has to be explained in detailed and there is a great emphasis on the use of appropriate descriptive sentences and idioms. In Primary 5 everything is more complex. It is no longer just simply cut and paste the answer as you see it. There is a heavier emphasis on comprehension. Monkey boy has to be able to do the following. – Compare and contrast what is happening in the given situation. – Give an analysis of what was learned from the story he just read. There are more higher order thinking questions involved and an increased need to explain why a certain action had taken place. There is a higher weightage in marks for Reading and Picture Description. Here again Monkey boy has to have a great mastery of vocabulary 词汇（字形、字义、用法 ）and be able to use the appropriate words to describe what he knows and sees to be able to do well in the Picture Description and Dialogue section. He needs to have build up his vocabulary word bank so that he be able to draw on the reserves stored within his memory when needed. In the next post I will be sharing on the materials that I am currently using with Monkey boy to improve his knowledge of Chinese Language and to help him meet the expectations of school. Dom, this is really scarey. I don’t know where to begin!! Thanks for your suggestion but will not be outsourcing teaching of CL for this son of mine at the moment as I do believe that with what his grandmother ( who is a Chinese school teacher)and what I’m doing with him at the moment will be able to help him. 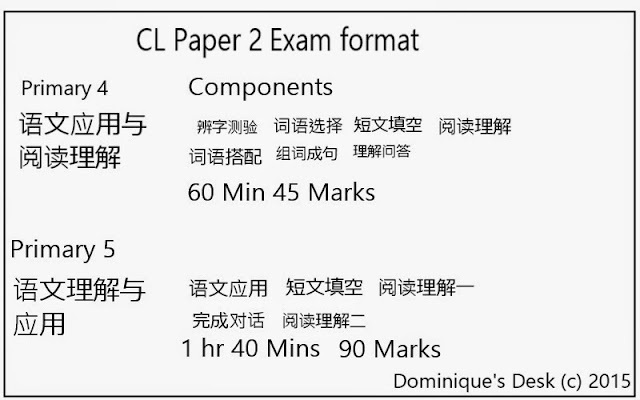 I don’t know much about Chinese Language but I think there really is a lot of difference between P4 and P5. I’m sure you’ll be able to teach him about it. It sounds like he is going to be challenged in his next school year. Good luck to your little boy! You must be proud. This sure looks overwhelming! We as parents have to take it little by little, and then find creative ways to incorporate these lessons into everyday life. I can’t rad any of the Chinese characters. I can read a little Korean and I also practice their pronunciation. You’ll definitely bridge the gap between the two levels.